Miss Ecuador Katherine Espin capturing the Miss Earth 2016 crown last Saturday, October 29, at the Mall of Asia Arena in Pasay City, Philippines was an affirmation of her front-runner status. But no matter how deserving and convincing a win, it was still marred by controversies. Espin was considered a heavy favorite before the finale. She won a lion’s share of corporate awards and ended on top of the medal tally after winning medals in the pre-pageant activities. In fact, her placement and eventual win broke the curse that anyone who tops that leaderboard will end up unplaced. 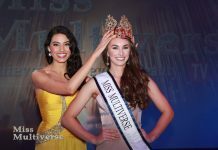 Miss Earth 2016 Katherine Espin of Ecuador receives the crown from outgoing queen Angelia Ong. The 23-year-old future lawyer was one of the best performers of the night, alongside another top favorite Miss Venezuela Stephanie De Zorzi, Miss USA Corrin Stellakis and Miss Sweden Cloie Syquia Skarne. Espin gave the perfect balance of sexiness and elegance in both the swimwear and evening wear rounds. She was polished, well styled and was obviously shining on stage that night. When USA and Sweden failed to make the final four, it was clear that the crown was just between Miss Ecuador and Miss Venezuela. But Espin cemented her win after nailing the final question round. The exclusion of Miss Sweden and Miss USA in the Top 4 also came as a surprise because both gave outstanding and well applauded answers in the Top 8 QA round. They could’ve given Espin a run for her money in the final QA. Miss Vietnam Nam Em’s Top 8 placement was very welcome and deserved. Meanwhile, Miss Brazil Bruna Zanardo’s and Miss Colombia Michelle Gomez’s Top 4 placements were unexpected but their good performance throughout the finals night were proof that they earned it. Miss Venezuela started out strong but she faded during the first round of QA. She gave a better answer in the final question but Espin was just unstoppable. But despite her solid performance in the finals, Espin’s victory wasn’t spared from issues. Some delegates and national directors are accusing her of being promised by a sponsor of the crown. Miss Philippines was caught on video throwing shade at her for allegedly having fake nose, chin and breasts (which Espin already denied). But the new Miss Earth remains unfazed. “I am very committed to work as Miss Earth. I have so many projects in mind. I really want to dedicate the whole year on working for the environment. 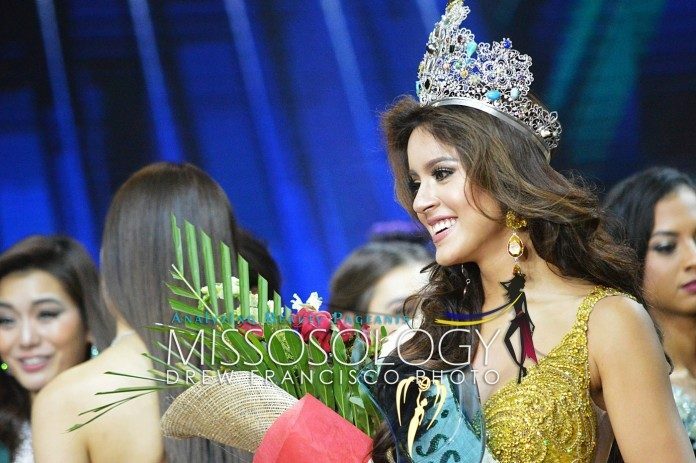 I will leave everything else in my life and just focus on my reign as Miss Earth,” she said in a recent interview. This year’s batch of candidates was perhaps one of the strongest in history, with lots of stunners and girls who are very dedicated to the Miss Earth cause. That was why the actual Top 16 semifinalists was well-received. There were no surprise placements and all of the girls delivered well in both the swimwear and evening wear rounds. It is also interesting to note that the Top 3 eco videos of Miss Moldova, Miss Ukraine and Miss Vietnam were really the best among the rest and are all deserving. The letdowns were the exclusion of Miss Denmark Klaudia Parsberg, who was one of the most prepared and dedicated ladies in the competition, and Miss Vietnam and her interpreter struggling in the QA portion. The non-placement of the Philippines after five years (including a back-to-back victory) did not come as a surprise, following Imelda Schweighart’s series of “transgressions” during the duration of the pageant. But it is also worth noting that Miss Earth got more media mileage because of Miss Philippines’ controversial statements. In terms of the production, the pageant showed a big improvement compared to last year. Holding the finals at the Arena was a welcome move as it gave more fans the chance to witness the momentous event. The show let go of the live introductions and opted for VTRs instead and incorporated it to the opening number, which actually saved a lot of time. The announcement of the semifinalists wasn’t rushed. However, Miss Indonesia stepping in instead of Miss Italy was an “oops” moment. Other than that, there wasn’t any cringe-worthy moment unlike in previous years. The Marc Nelson and Rovilson Fernandez hosting duo as gave the show a more elegant yet funny feel. Bringing the pageant back to the Philippines is also a welcome move. Not only did it allow the girls to travel around the country, it also showcased how it is more fun in the Philippines through these pre-pageant activities.